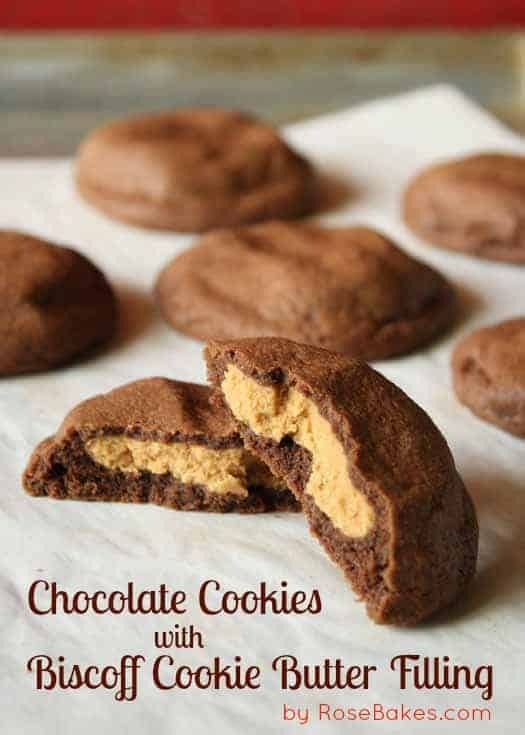 If you love Biscoff Cookie Butter spread and chocolate… you really need to make these cookies. I made them a few weeks ago when I was totally obsessing over Biscoff. You may remember… it was about the same time I made the Biscoff Cookie Butter Swirled Cheesecake Bars. Umm yeah… you need to make those too! I sort of go through phases with my obsessions… right now I’m obsessing over Candy Corn … it is that time of year afterall, but I still have a jar of Biscoff tucked away in the cabinet just in case I need it. 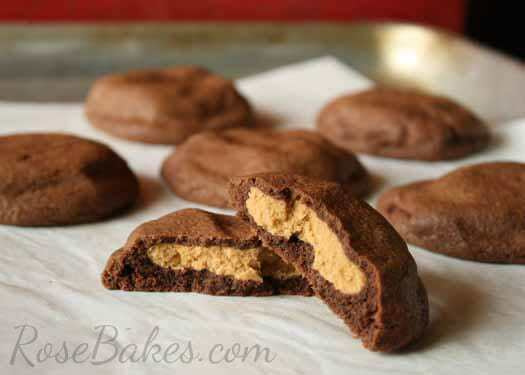 The chocolate cookie outside is soft and chewy… almost cake-like the the center is super creamy and oh-so-delicious. You could easily adapt this recipe to use peanut butter instead of Biscoff, but really… I recommend the Biscoff. 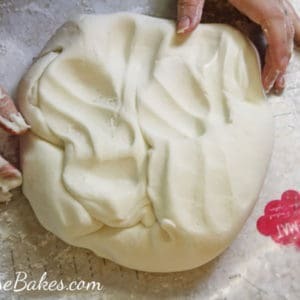 They’re also pretty easy to make – maybe a few more steps than you usual cookie, but not at all hard and definitely worth the effort! Anywho… now that I’ve teased you and told you all about them, hop over to CakeJournal.com where I shared the full recipe complete with step-by-step pictures. And tell me… have you tried Biscoff yet? If so, what’s your favorite way to eat it? Straight out of the jar? On toast or graham crackers? Or in a recipe? I’d love to hear!